I am really happy to work with our sponsor, DoubleTree Orlando at SeaWorld, today to share the beauty of their resort with you! 5 reasons you will enjoy staying at the DoubleTree Orlando at SeaWorld the next time you visit Orlando Florida. Last Sunday we arrived home after having a wonderful 3 night stay at the DoubleTree Orlando at SeaWorld. 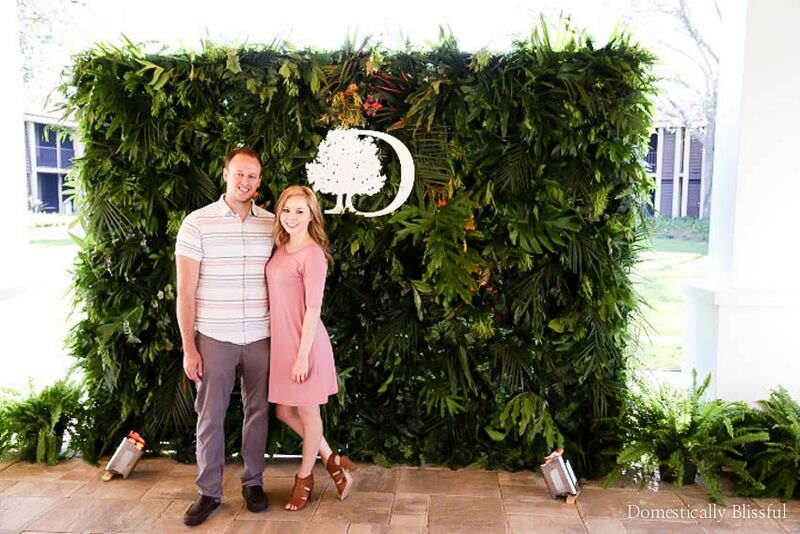 During our Orlando trip, we experienced a special tour of the multi-million dollar renovation & saw first hand all of the beautiful details & lush gardens they have incorporated into their 28-acre resort property. And if you follow me on Instagram, you may have seen a special tour (just me & you) that I shared while wandering about the many paved walking trails throughout their property. 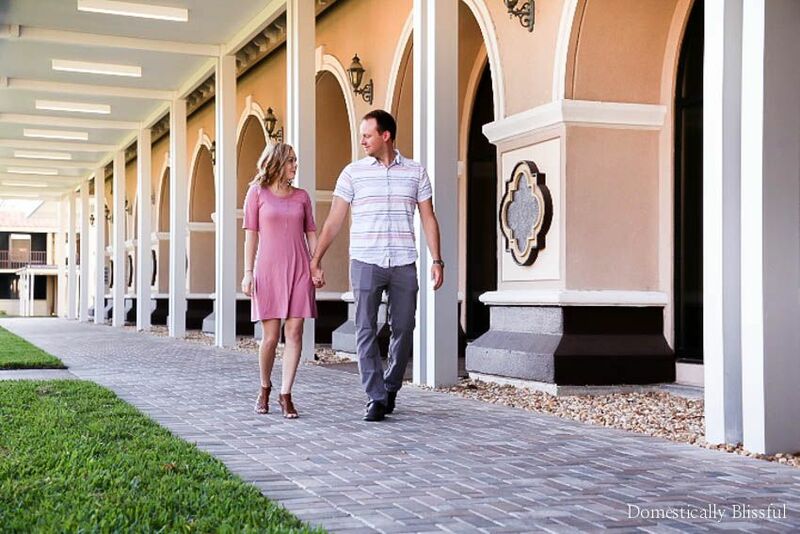 Roger & I had such a wonderful time enjoying their complimentary signature chocolate chip cookies upon check-in, relaxing by the pool in the sunshine, & enjoying the variety of activities available on the grounds, including mini-golf! We discovered a whole game room (full of board games & arcade games) and a variety of outdoor games including table tennis, a pool table, & a gigantic outdoor checkers game. So cool! And while I may not be good at mini-golf (as you can attest after watching this video), I am good at eating, & I ate a lot of wonderful food during our stay at the DoubleTree Orlando at SeaWorld! If you are planning a trip to Florida here are 5 of our favorite reasons to stay at the DoubleTree Orlando at SeaWorld to help you plan for a wonderful & memorable vacation in Orlando. With over 1000 guest rooms and suites spread out over 28 acres, you will surely be able to book a room that perfectly fits your travel style. We stayed in a very spacious room, in the tower at the center of the resort, that had two queen beds & a view that allowed us to see to the convention center & beyond. After a day at the parks, it was so nice to come back & relax in a cool & modernized room to unwind before a fun night out on the town. 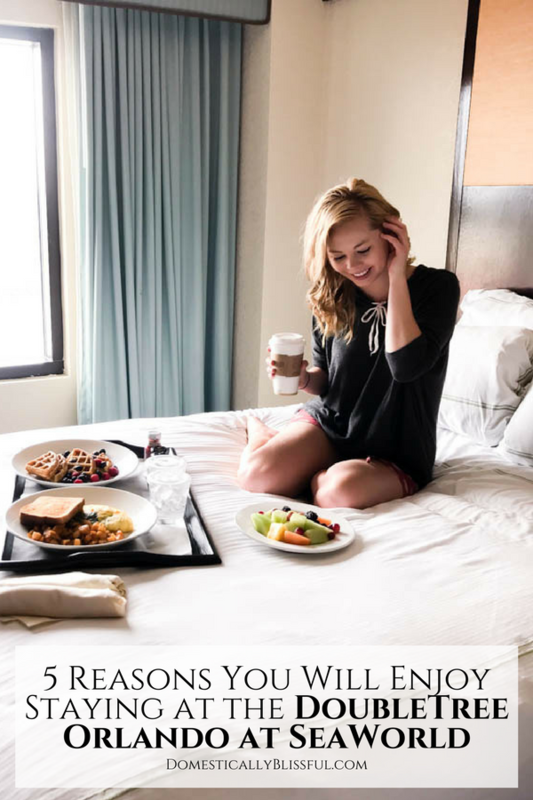 And I know this may sound silly, but we especially enjoyed the Sweet Dreams® by DoubleTree Sleep Experience on their really comfortable mattresses. That may sound funny to some, but Roger & I love trying out mattresses at different hotels & resorts (because we desperately need a new one as our old one has no support) & we especially loved the firm & cozy quality that their mattresses provided for a good nights rest. And I’m sure we aren’t the only ones who love waking up refreshed after a good nights sleep! One of my favorite features of the DoubleTree Orlando at SeaWorld was the gorgeous property and well-kept gardens that wound in & around the resort. I had so much fun exploring the different paths & relaxing by the modern fireplace in the newly renovated outdoor event space. Roger & I spent some time out there enjoying the renovations of the newly added Palm Promenade & Pavilion area. We loved the tropical plants & fountains in the morning, early evening, & at night. It is such a beautiful place to sit & relax while reading, talking, or enjoying a good drink. We loved it so much we even measured out their sitting area to see if we could recreate their gorgeous outdoor sitting area in the house we are about to build. The outdoor couches, chairs, & table were both cozy & have the modern luxury feel that we are looking to create in our next home. And their oversized outdoor fireplace was so dreamy!! We tasted so many delicious dishes during our stay & you will have so many options during your stay at the DoubleTree Orlando at SeaWorld. From the Barefoot Bar, to Laguna, the Sonoma Lobby Bar, the Market, the Pantry, & in-room dining you won’t go hungry & your taste buds will be happily delighted. I must admit, my favorite dining experience was the in-room dining we had for brunch on our last morning. There is something so fun about waking up slowly, brunching in bed, & letting the day slowly begin while relaxing in your PJs. The staff at the DoubleTree Orlando at SeaWorld were so helpful & kind. Although we spent some time with a group touring the resort, we also spent quite a bit of time on our own exploring & enjoying all that the resort has to offer. Whether we were with the group, or off on our own, every employee greeted us with a smile & was happy to help with whatever we needed. 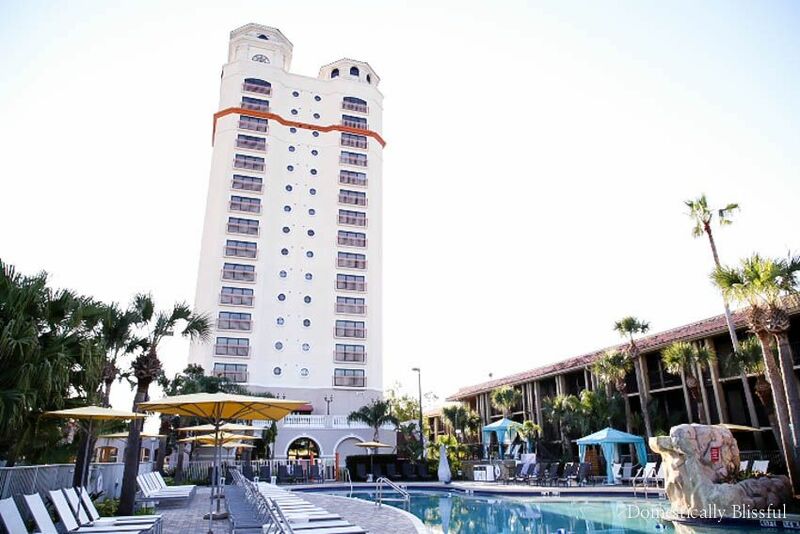 The DoubleTree Orlando at SeaWorld is centrally located & a wonderful place to stay whether you are in Orlando for an adventure in one of the many parks or traveling for meetings at the convention center. We even walked back from SeaWorld to the resort & it took less than 10 minutes, but you will also be happy to hear that the DoubleTree Orlando at SeaWorld offers complimentary shuttle service to their guests. 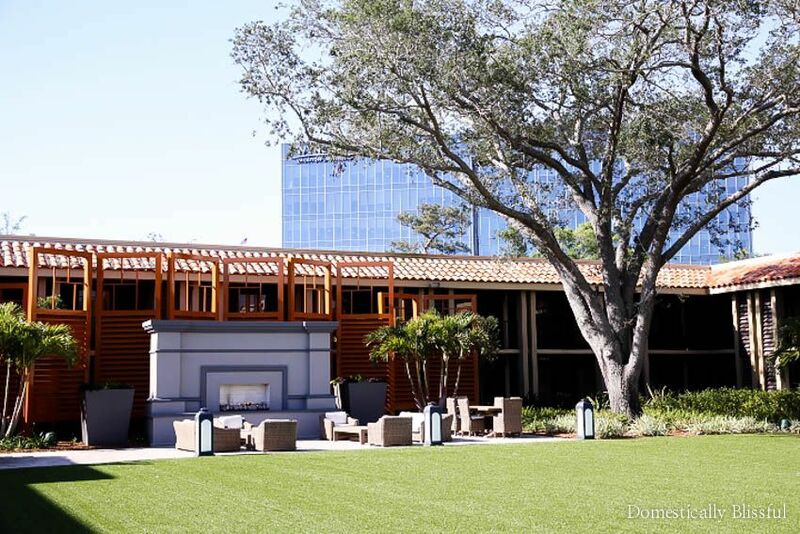 Also, their newly renovated outdoor meeting & event space is great for weddings or meetings, which means you will be even closer to the moments that matter most during your stay. And since they have over 100,000 sq ft of meeting space it is the perfect location to hold a group event, convention, family reunion, or wedding. So no matter what your travel plans involve while visiting Orlando, the DoubleTree Orlando at SeaWorld is sure to be a resort you & your whole family will enjoy! 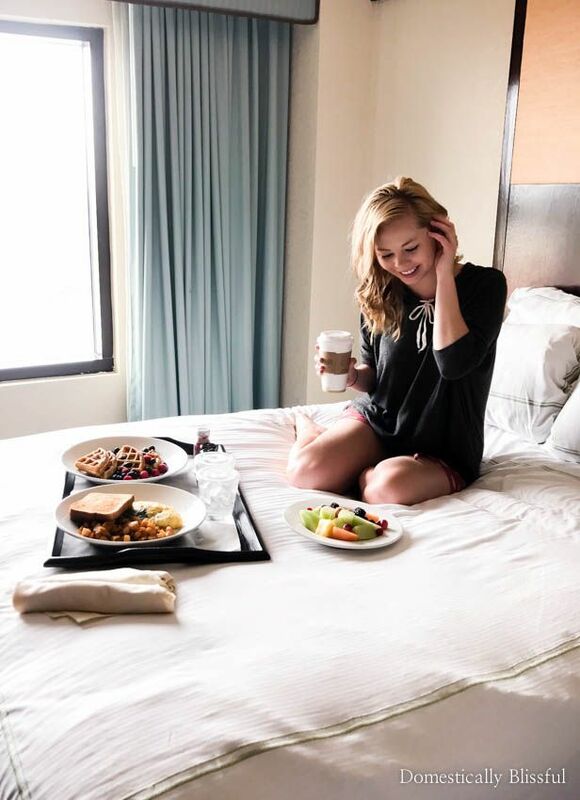 From the relaxing guest rooms to the extensive lush gardens, the delicious dining, wonderful staff, & central location, you are sure to have an unforgettable stay! Be sure to see all the latest by following the DoubleTree Orlando at SeaWorld on Facebook, Instagram, Twitter, & YouTube. And if you want to see an inside look at our trip be sure to watch this short video! What are you looking forward to most during your next stay at the DoubleTree Orlando at SeaWorld?